This is for individuals who are in an Human Resources or Mobility related capacity within a corporation. The Golf event is not included. This meeting registration fee is for Non-Member Suppliers. The golf event is not included. This is for Supplier members who have paid their annual dues. The golf event is not included. Join us for our Summer Workshop, “West Coast Leaders in Relocation”. You will not want to miss this roundtable event with industry leaders from Washington to California such as Eric Halverson from eBay, William Taylor from Adobe, Ray Kirby from Amazon and Debi Dopps from Boeing, (just to name a few), as they host interactive table discussions on some of the hottest topics in global mobility. 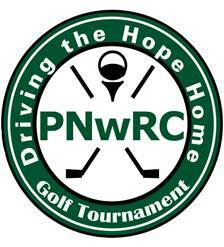 Immediately following the Summer Workshop lunch, the PNwRC 10th Annual “Driving the Hope Home“ Charity Golf Tournament begins. Celebrating a decade in the making, “Rocking Out for Charity”, at a new location Twin Lakes Golf and Country Club, same rocking event! Shotgun start at 1:15 pm. For over a decade the PNwRC has rocked the industry raising money for your favorite charities. The beautiful Twin Lakes Golf and Country Club nestled between Lake Loreene and Lake Jean in Federal Way will host this year’s event. It’s time to get your Rock & Roll on! Whether you are a Metallica metal head or a rhinestone Elvis cat, you will love this year’s theme. Dress in your favorite rock band or solo gear and join us for this annual summer golf event.